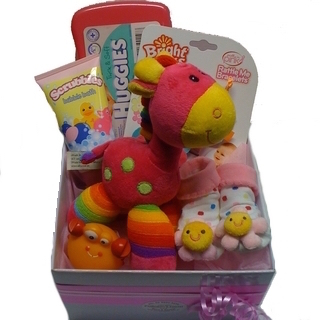 Adorable and unique gift for the new baby. 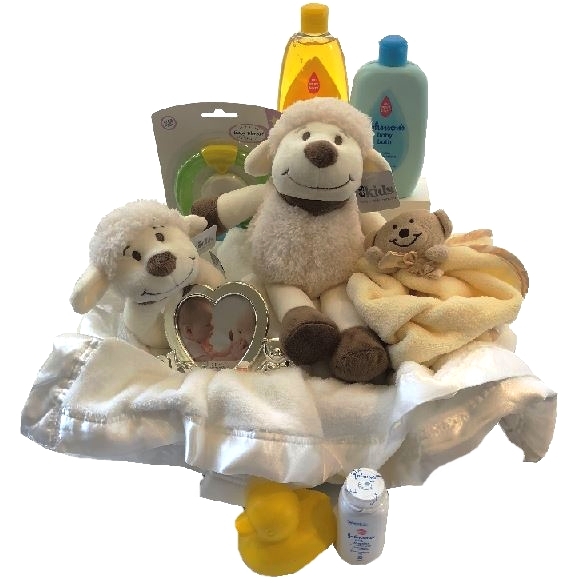 Beautifully presented hamper, contains an ultra soft and cuddly Teddy Bear Rattle Blanket; ‘ES Kids’ Little Lamby cuddly toy and soft fabric rattle; Baby Blanket; Teething Ring; Adorable Photo Frame; Bath-time duck and a range of Shampoo, Lotions, baby powder etc. Product may vary slightly depending on stock availability. 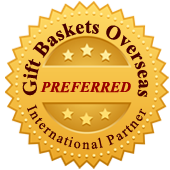 This gift can only be distributed from our Sydney office, therefore please allow enough time as per our delivery guidelines. Available in Pink or Blue!